According to Bloomberg News, Qualcomm has reached a settlement agreement with Taiwanese antitrust regulators. Under terms of the deal, the regulators have agreed to reverse most of a $773 million fine against the chipmaker, in exchange for Qualcomm investing $700 million in Taiwan over the next five years. The company also agreed to conduct more research in Taiwan, and can once again charge royalties on its technology in the country. The fine was first assessed in October 2017, when Taiwan's FTC claimed that over a seven-year period, Qualcomm had "abused its advantage in mobile communication standards, refused to license necessary patents." Qualcomm will not get back the $89 million already paid in fines, but will no longer be on the hook for the rest. The company is currently in the midst of multiple patent and royalty lawsuits, including more than a dozen between Qualcomm and Apple that are being fought in the U.S., the European Union and other parts of the world. Qualcomm believes Apple is putting pressure on governments to act against Qualcomm. In July, Qualcomm indicated that Apple will use modems from Intel, rather than Qualcomm, beginning with a future generation of iPhones. 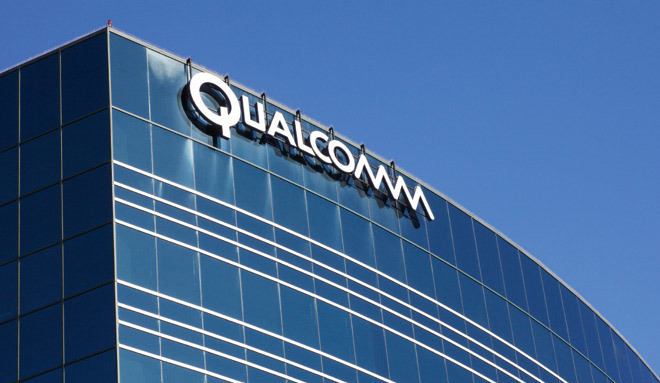 The move is unconfirmed, but could deal a significant revenue blow to Qualcomm. In March, the U.S. government blocked a hostile takeover bid of Qualcomm by rival Broadcom.